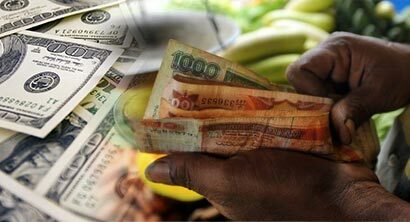 The Sri Lankan rupee ended steady for a second straight session on Wednesday amid importer dollar demand as a state-run bank, through which the central bank usually directs the market, sold the greenback at a flat rate of 134.50. Currency dealers said they expect the pressure on the rupee to ease as some dollar selling could be seen on the back of rising market interest rates. But they expect the central bank to let the rupee weaken due to importer dollar demand and a global trend of weakening currencies against the dollar. Yields on short-term government securities rose 20 to 26 basis points at a weekly t-bill auction on Wednesday, with the benchmark 91-day t-bill yield hitting a more than five-month high of 6.79 percent. “Dealers are nervous. With the rising interest rates, there could be some selling as the cost of holding dollars is on the rise,” said a currency dealer asking not to be named. The rupee ended steady at 134.50 per dollar on Wednesday. The central bank held its main interest rates steady at record lows on Monday as expected, and said a rapid rise in imports of consumer durables, including motor vehicles, driven by credit available at low interest rates, among other things, had raised some concerns. Analysts say the rupee may fall to 138 levels in the short term if the central bank allows it to depreciate without selling dollars through the state bank.